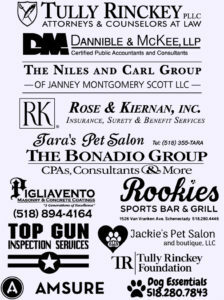 The Schenectady County SPCA would like to thank the 2018 sponsors of our A New Leash on Life 5K Run/Walk. Without their support this event would not be possible! The Schenectady County SPCA is a 100% volunteer organization that is not funded by any government entity or the ASPCA. All donations made on this website go directly to helping animals in the Capital Region. Support us by visiting the sites in the panel to the right or donating on our website. All complaints remain confidential and we do not investigate anonymous calls. New York’s animal cruelty laws have been hidden away within the state’s Agriculture and Markets statutes for decades, confusing police, prosecutors and judges. The Consolidated Animal Crimes Bill (A.775a/S.1776) improves enforcement by placing animal crimes under the penal code (criminal law), which is familiar, accessible, and taught to law enforcement personnel. A.775a/S.1776 redrafts anti-cruelty laws that have gone without substantial revisions since the mid-19th century! Please make a brief, polite phone call to your state legislators to urge support for A.775a/S.1776. You can simply say: “I am a constituent –please put animal cruelty laws under the penal code and support bill A.775a/S.1776. You can read more about the bill here. Welcome to the Schenectady County Society for the Prevention of Cruelty to Animals (SPCA) web site. Each member of the Schenectady County SPCA, sworn and civilian, has an important role in making our organization a success. The object of this website is to provide timely and accurate information about what we are doing. We hope you take a few minutes to find out more about us and the services we provide. We will continue to remain open and responsive to the needs and concerns of our community and encourage your comments either by telephone (518-640-3537), email (info@countyspca.org) or in person. If you are specifically interested in supporting Bud or Oliver, please note this information on the memo line of your check or email your request to development@countyspca.org. Please visit our Face Book page for status updates and photographs of Guardian Angel recipients.